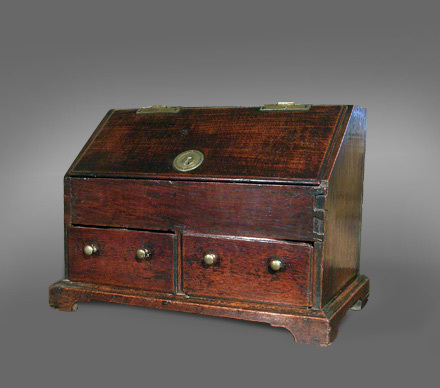 Welsh oak miniature bureau made from well-figured timber, circa 1760, This particular piece was made to sit upon a table. 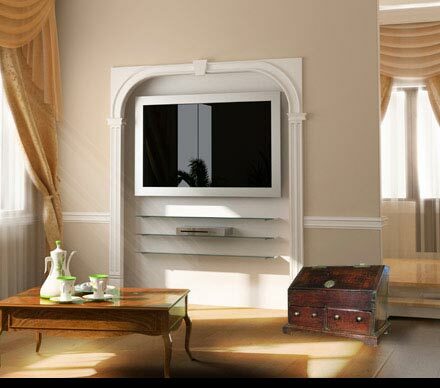 The top section has a fall front that reveals a fitted interior and well. There are two drawers in the base with small brass knobs, and the whole is supported on a shaped plinth ending in four bracket feet.